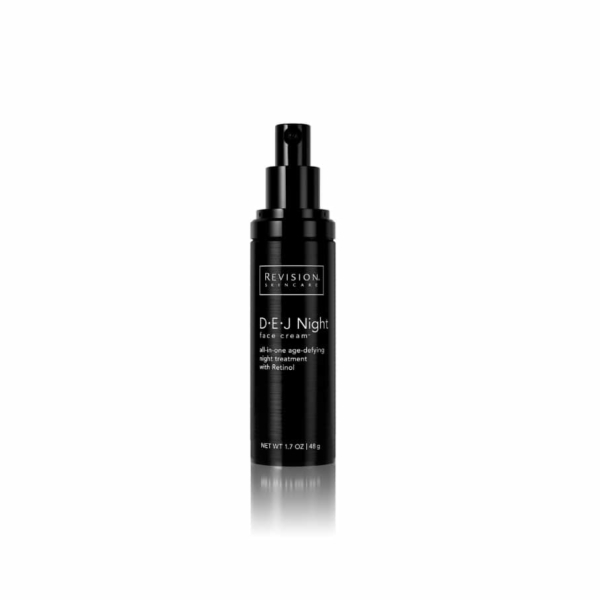 D·E·J Night Face Cream™ the all-in-one age-defying night treatment with Retinol. DEJ Night Face Cream™ – This intensive night time moisturiser is formulated to work while you sleep with time-released 0.25% Retinol combined with Bakuchiol and utilises pioneering Pathway Technology inspired by the Dermal-Epidermal Junction (DEJ) as well as the skin’s own Microbiome to comprehensively address the visible signs of aging overnight. Contains time-released, microencapsulated Retinol to maximise efficacy and minimise irritation. Directions: In the evening after cleansing and applying all other treatment products, dispense one to two pumps into palm of hand and gently smooth onto face avoiding the eye area. Wearing sunscreen during the day is advised while using this product. 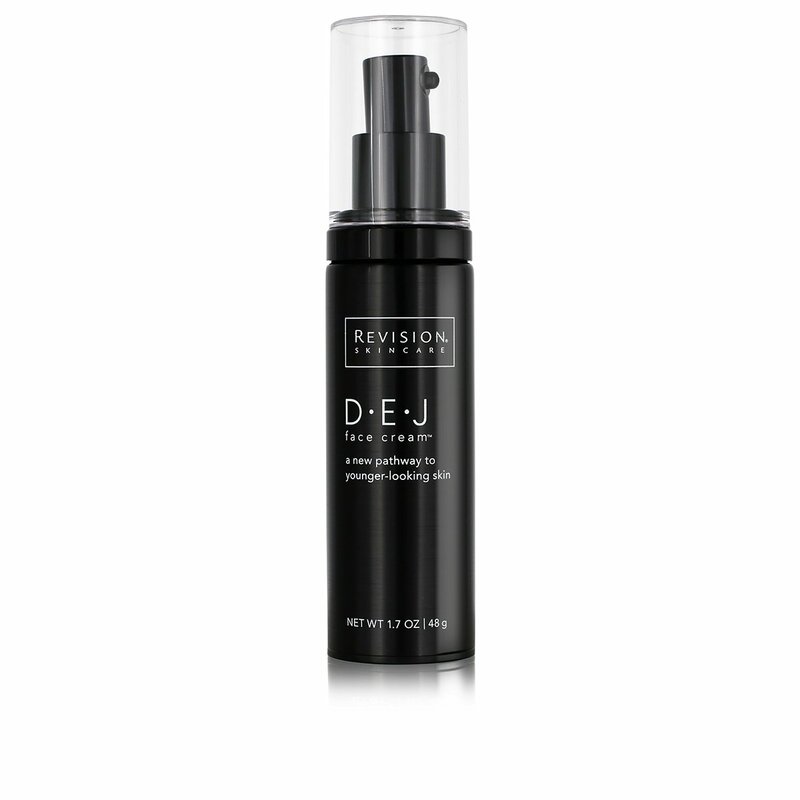 If also using DEJ Face Cream®, use DEJ Face Cream® in the morning and DEJ Night Face Cream™ in the evening. Vitamin A (0.25% Retinol). Improves the appearance of skin texture and pores. Bakuchiol. Boosts the efficacy of Retinol. Palmitoyl Tripeptide-38 & Acetyl Tetrapeptide-2. 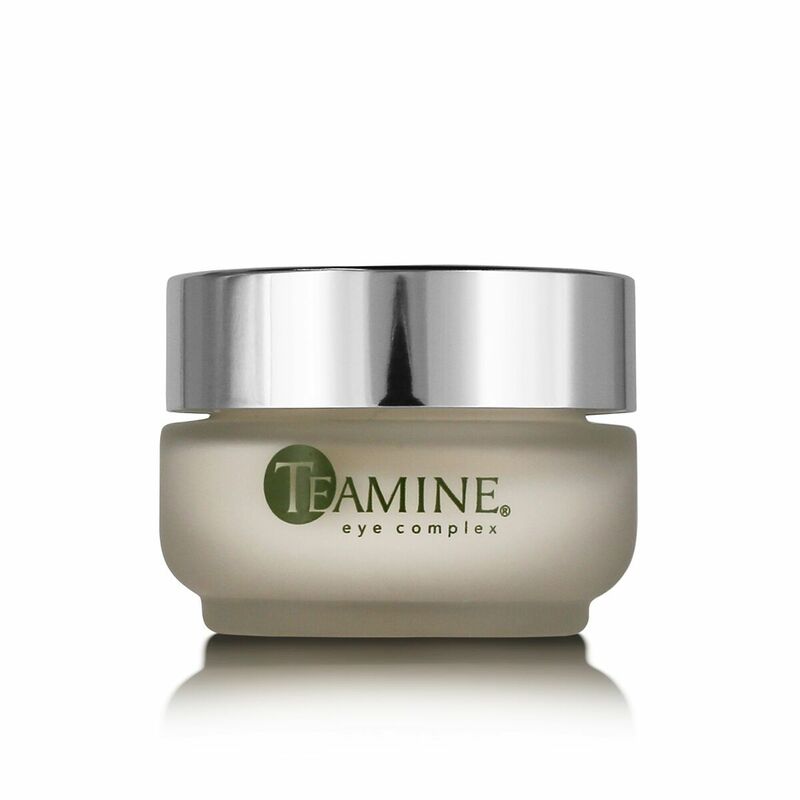 Help reduce the appearance of fine lines and wrinkles. Rosemary Extract. High in beneficial antioxidants. Vitamin C (THD Ascorbate). Brightens dull skin.